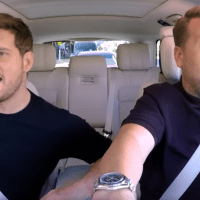 James Corden did an episode of Carpool Karaoke with Michael Buble. It was for Stand up to Cancer and Michael talked about his son’s battle with cancer. Check it out.